Get things going with BASS. A Bass radiator works with the internal speaker to enhance low-end response giving bass a boost despite its compact size. Exclusive BassX technology and a spiral bass port boost low-end frequencies to make the beats hit even harder. Be there all day, all night. 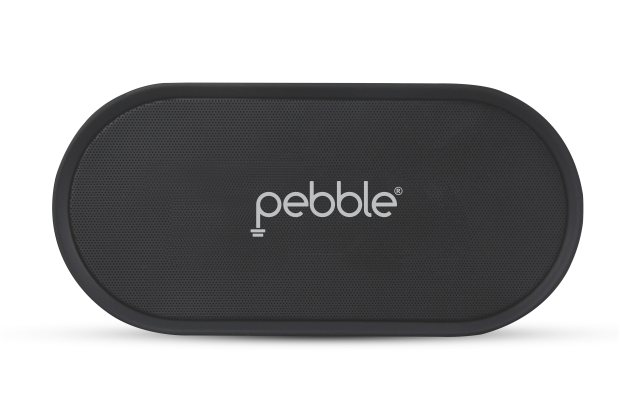 From picnics in the park to binge-watching your favorite shows, Pebble BassX Prime gives you 8 hours of non-stop musical ecstasy. 8 hours of brilliant, immersive sound. Prime's curved edges and sleek controls accentuate its unibody design. Choose from blue, or black to perfectly complement your home and style.